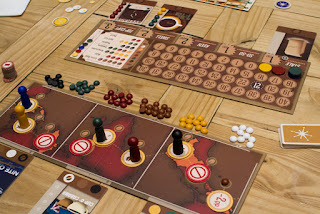 Time for another weekly Ipswich Board Gamers update! 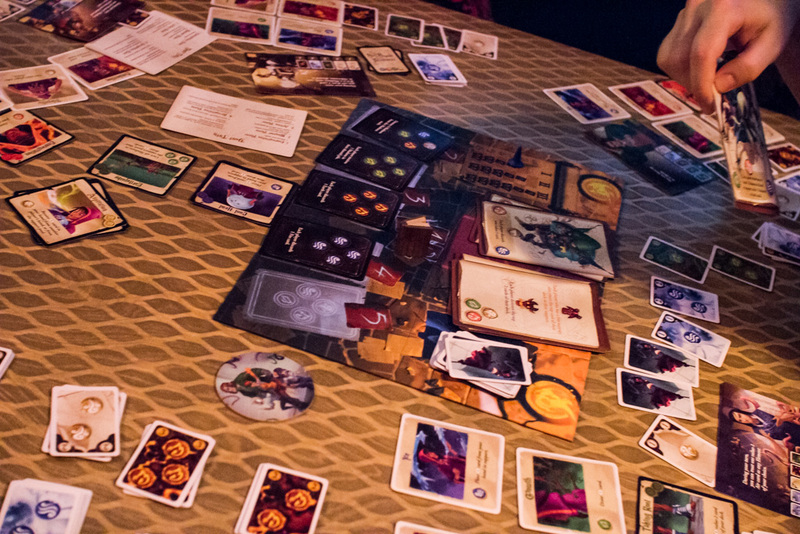 A bunch of new games hit the tables with the likes of VivaJava, Mysterium and The Big Book of Madness. Although not a new game in itself I'd brought along Kraken, the new Abyss expansion. This adds a new race that act as wilds and a new currency in addition to pearls that give you negative points. There are a couple of other things in the expansion (tokens for reserving and a push your luck exploration mechanic) but you need specific lords and locations for these to come into play, none of which came up in our game. I came first by a nautical mile. After that we squeezed in a VivaJava: The Coffee Game, as you my have guessed a game about blending coffee. It has a team up kind of mechanic where each turn you choose who to join forces with to blend the best coffee. Much like in real life the quality of coffee is based on poker hands of bean colors. Dan came first by a non-nautical mile. Another table played a whole host of party style games. They started off with Mysterium which made it's IpBoG debut. They managed to work out who the killer was which is pretty good going for a notoriously hard game. I'm told it was the first win in four games. Afterwards they played some Spyfall and some Codenames. Another table played The Big Book of Madness. I don't know how it went but it's some sort of cooperative game so I guess everyone either all won or all lost. I also saw some Star Realms being played.